This summer I reviewed the HTC One X, a phone that came preloaded with Android 4.0.1 and HTC’s comparatively lighter but nevertheless bloated Sense 4 skin. You might recall I went on a bit of a rant about it, with the problem being that it lagged. 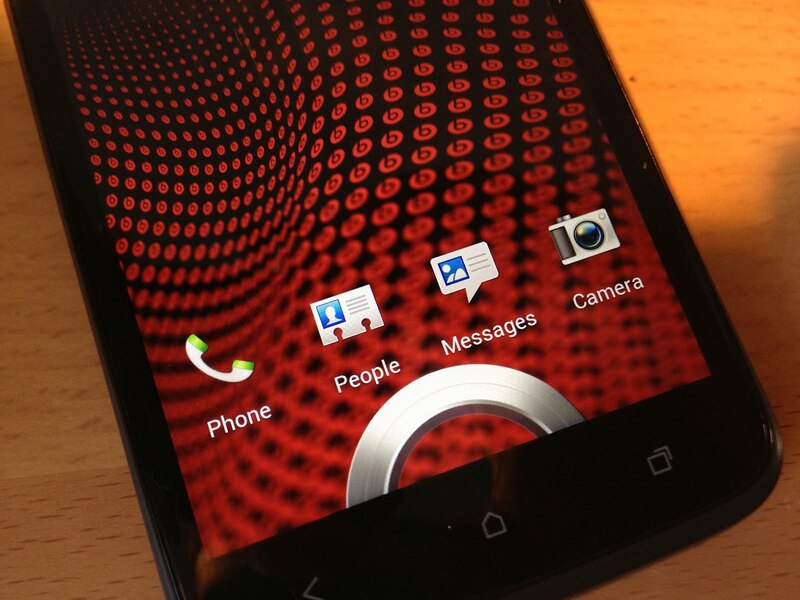 A new operating system on a top of the line phone should not be stuttering on the homescreen. Now, to coincide with the release of the One X+, HTC has come up with an answer. The new Sense 4+ skin is layered on top of that buttery Android 4.1 goodness, also known as Jelly Bean, but does it fix the inherent problems its predecessor had? Read on to find out. HTC really has fixed a lot with the new version of Sense. Most noticeably, the stuttering has been eradicated completely and utterly. I’m not completely sure whether this is down to the new Jelly Bean’s Project Butter or simply HTC’s optimisations, but it really doesn’t matter. Whatever they’ve done, it makes the phone a joy to use. 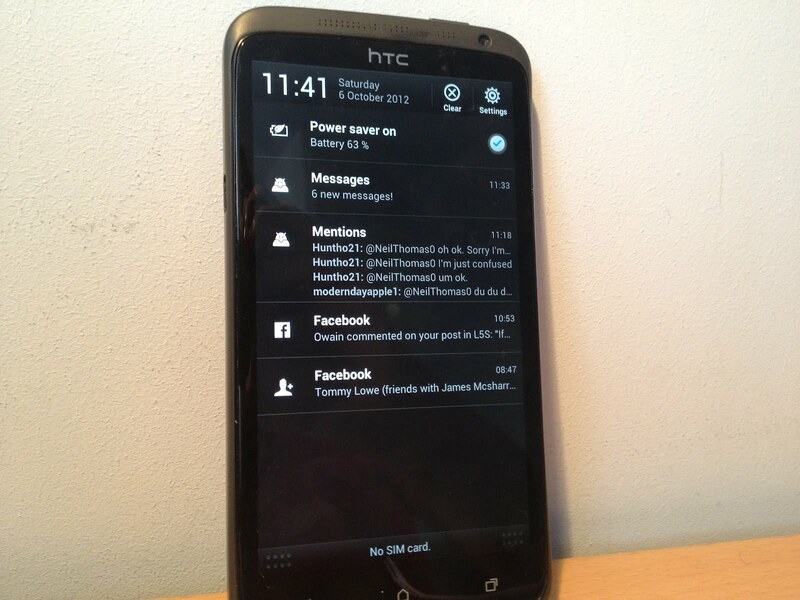 Expandable notifications have been introduced too, bringing all sorts of new functionality to your pull down shade. The only problem with these is the slightly awkward two finger pinch gesture to open them up – something that is not present in stock Android. The keyboard is really a lot better than it used to be, nixing the pointless arrow keys at the bottom and adding altogether better feedback and responsiveness. My biggest annoyance with the One X has also been fixed – the menu button situation. It used to be that the One X did not have a hardware menu button, with a software version popping on screen as and when it was needed, wasting about a tenth of the screen real estate. With this update, TC has added the option in settings to reassign the multitasking button to menu. Holding down this button with this setting enabled will take you to recent apps, giving back the screen that was taken. Google Now, Android’s answer to Siri, has also been added, with a long press of the home button propelling you straight into the new voice search feature. While I don’t want to go as far as to compare it with Siri as they both perform different functions, I have to say the retrieval of data is snappier and the voice is not nearly as robotic. There isn’t really much that has become worse in Sense 4+. After all, it is an update: something supposed to make something else better, unless you are Apple. There is a lot in this section, and while there is not as much as there used to be, the list of negative aspects of Sense only reinforce my desire to see stock Android being shipped on more than one phone a year. The first thing is the icons, which remain childish and displeasing to the eye. Compared to the polished look of iOS, Windows Phone and post-ICS stock Android, you realise how far behind such skins remain, and a little customisation with an icon pack goes a long way aesthetically. I still feel that the greens and whites of Sense clash with the deep blues and Tron-like lighting of Holo clash horribly, however certain elements appear pleasant and muted. Another thing that hasn’t been fixed is the lockscreen shortcuts, still default to the ones you have placed in your dock. Overall, I think Sense 4+ is a great upgrade over Sense 4, making Sense a decent skin once again. It makes it smoother, faster, slicker and better looking while also tying in new functionality that you won’t necessarily find in a stock Android build. 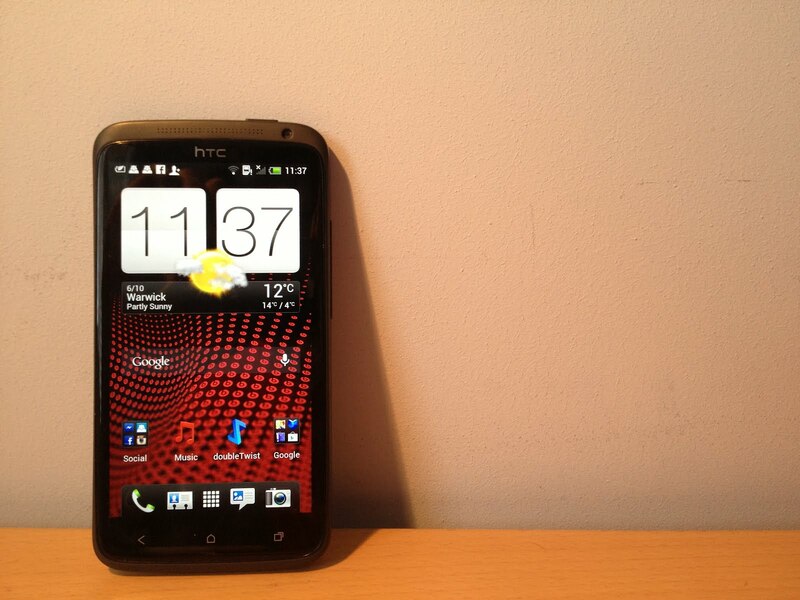 If you are a user of one of HTC’s One series phones, I urge you to upgrade to keep your sanity and enjoy the butter.